MTKO to Serve a Traditional Thanksgiving Dinner - all are welcome! Matt Talbot Kitchen & Outreach will be serving dinner on Thanksgiving Day, Thursday, November 26, from 5:30 p.m. – 6:30 p.m. All are invited to join in this traditional feast, or just stop by to enjoy the celebration. Dinner will be prepared and served by one of Matt Talbot’s many volunteer groups who volunteer their time, talents, and resources to prepare and serve two meals a day, every day of the year. 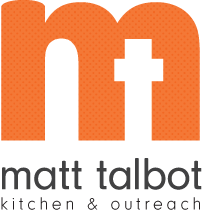 Serving lunch and dinner seven days a week, Matt Talbot Kitchen & Outreach is a hunger relief and outreach center for those in need. Last year Matt Talbot provided nearly 113,000 nutritious meals to the hungry in Lincoln and over 25,000 homeless prevention services such as transitional housing, case management, drug & alcohol evaluations, life skills classes, nutrition counseling, and help with obtaining vital identification documents. Holiday donations keep our doors open 365 days a year. Please consider a tax deductible gift to Matt Talbot. To make a donation and learn more go to www.mtkserves.org. We wish everyone a blessed Thanksgiving.